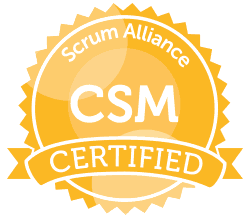 Our Certified ScrumMaster course is an intensive deep dive into the world’s most popular Agile method: Scrum. It is an immersive learning experience emphasising hands-on participation through a mix of interactive seminars, group discussions, team activities, games and role-plays. Our CSM course is particularly suitable for those taking some level of leadership in respect to people and the agile process. This includes, but is not limited to ScrumMasters, Iteration Managers, Development Managers, Project Managers and Team Leads. 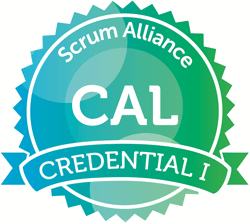 This course is also relevant to those involved in hands-on agile delivery who wish to have an in-depth understanding of the Scrum process and how to get the most out of it. This includes Business Analysts, Developers, Testers, UX designers, Architects and Technical Writers. Our Certified Scrum Product Owner (CSPO) training course is an intensive two day workshop on one of the most critical roles defined by the world’s most popular Agile framework: Scrum. Our CSPO course is particularly suitable for those shaping the product/solution from a business perspective. This includes, but is not limited to Product Owners, Product Managers, Business Owners, and Business Analysts. This course is also highly relevant to those involved in coaching a Product Owner to be effective in their role. This includes ScrumMasters, Iteration Managers, and Project Managers. Michael Sahota’s CAL I course is particularly suitable for organisational leaders and organisational coaches. Organisational leaders include executives, vice presidents, directors, managers and program leads. Organisational coaches include Agile Coaches, Scrum Masters, HR professionals, and internal change leaders. This class provides the knowledge and tools needed to identify and tell effective and accurate user stories. Participants will learn the six attributes all user stories must exhibit as well as the five additional guidelines for taking user stories from good to better. 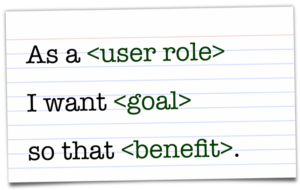 The class will also explore the use of user role modelling to tell the tricky initial user stories for a project. Our EUS course is particularly suitable for those discussing and elaborating stories and requirements. This includes, but is not limited to Product Owners, Business Analysts, User and Subject Matter Experts. This course is also highly relevant to those involved in clarifying and splitting stories including ScrumMasters and Development Team members.